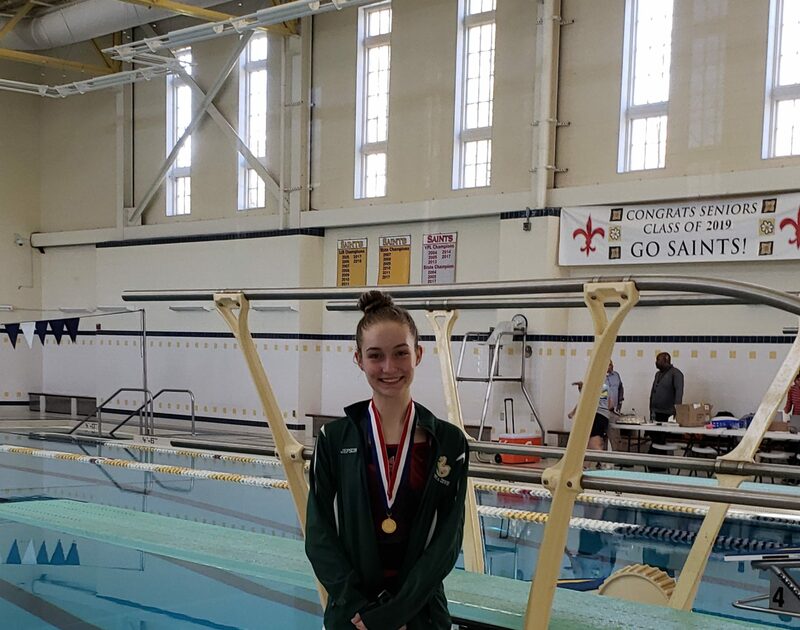 Congratulations – 2019 State 2A Diving Champion! 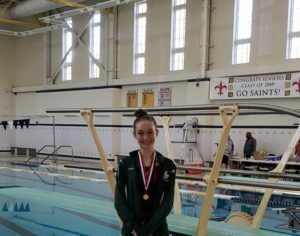 Anna Jepson (’20-Chesterfield) won the 2A State Diving title today in the Women’s 1-Meter competition! She finished with a score of 449.50, setting a new VHSL Class 2 record. Anna was also the 2018 winner in this category. Congratulations! Anna is coached by Matthew Chocklett and Heather Kemmerly. This represents the fifth consecutive State win for Maggie Walker diving.